An APPEAL to the Romanian Parliament was issued on March 11, 2007, with more than 700 signatories including NGOs representing more than 1 million members. An APPEAL to the interim president of Romania and to the authorities of the European Union was issued on April 22, 2007, with more than 800 signatories including NGOs representing more than 1 million members. Sorin Iliesiu is Vice-President of the Civic Alliance; member of the Group for Social Dialogue; initiator of the APPEAL for the Condemnation of Communism in Romania as Criminal, addressed to the President of Romania and signed by more than 500 leading intellectuals and by the foremost non-governmental and union organisations (10 March 2006). Sorin Iliesiu is testimony to the fact that one-man can make a difference. His initial appeal to the President of Romania is summarized here. Sixteen years since the Timisoara Proclamation, which consecrated the ideals of the anticommunist Romanian Revolution of December 1989, we firmly demand that, in a solemn declaration before both chambers of Parliament, the communist regime in Romania should be condemned as illegitimate and criminal. This demand has been voiced by civic society since 1990 and is in consensus with Resolution 1481, adopted on 25 January 2006 by the Parliamentary Assembly of the Council of Europe, regarding the necessity for a condemnation of the crimes committed by the totalitarian communist regimes. These crimes must be condemned not merely in order to respond to a recommendation by the Council of Europe, but in order to respond to the will of the Romanian people as manifest since the very first hours of the anticommunist revolution. Since 1990, civic society’s condemnation of communism has become concrete within a huge volume of testimonies and documents: thousands of studies and works by historians; thousands of books of eye-witness accounts; hundreds of documentaries and films of eye-witness accounts; tens of thousands of hours of audio recordings; and countless texts published in newspapers, magazines and on the Internet. Since 1990, the Association of Former Political Prisoners in Romania has denounced the crimes of the Securitate through court actions, initiated the projects for the Law to declassify the Securitate (1993) and the Law of Lustration (1994), and at the same time erected monuments to the victims all over the country. We make mention of the fact that Romania is the first country to have a Memorial to the Victims of Communism, created by the Civic Academy and established at Sighet in 1994. The Memorial has since been taken under the aegis of the Council of Europe and declared a site of national interest by the Romanian Parliament. In 1998, the Council of Europe declared it to be one of the three most important sites for the preservation of memory in Europe, along with the Auschwitz Memorial and the Memorial to Peace in France. The former communist countries that today make up part of the European Union have long since condemned the illegitimate and criminal nature of their former communist regimes. Romania suffered a political regime of an extreme criminality. Relative to the size of its population, our country suffered the greatest number of victims of extermination. In all the other former communist countries, the totalitarian regime collapsed without, or almost without, any victims, while in Romania unarmed and peaceful masses of people were massacred: more than 1,200 dead and more than 4,000 wounded. It would have been natural for Romania to be the first to condemn the crimes of communism officially. However, this has yet to happen. Genuine moral reform of Romania has thus not been possible. Under communism, almost all human rights were flagrantly and systematically violated, in spite of the fact that the Romanian State had undertaken to respect the Universal Declaration of Human Rights when it was admitted to the United Nations in 1955. Official condemnation of the crimes of communism should occur as soon as possible, ideally on 22 April, the date we commemorate the beginning of the University Square anticommunist demonstration, the longest anticommunist demonstration in history (fifty-two continuous days and nights). Condemnation of the criminality of communism should occur simultaneous to a presentation of the crimes of communism. It defies belief that so many and such horrendous crimes could have been perpetrated. Many of them were not even concealed. Some we experienced ourselves, while of others we were only partially aware. A majority of Romanians knows only very little about all this. The young know nothing or next to nothing. We regard it as absolutely necessary that the Government should decide upon the establishment of an Institute for the Investigation of the Crimes of Communism in Romania. We regard as welcome the recent proposal of the Foreign Minister to organise an international conference in Romania on the subject of the crimes committed in the name of the communist ideology. In this context, we make mention of the statement by President George W. Bush regarding the forced imposition of communism: “The agreement at Yalta followed in the unjust tradition of Munich and the Molotov-Ribbentrop pact. Once again, when powerful governments negotiated, the freedom of small nations was somehow expendable. Yet this attempt to sacrifice freedom for the sake of stability left a continent divided and unstable. The captivity of millions in Central and Eastern Europe will be remembered as one of the greatest wrongs of history” (Riga, 7 May 2005). By condemning the criminality of the communist regime, you will demonstrate that you have the political will to do an deed of historic justice, a starting point for national reconciliation, such as has been demanded by civic society since 1990. Romania’s experience started in 1947 with a communist take over in December 1947. Wikipedia offers a succinct summary of the 42 year communist era. “Communist Romania refers to the period of the history of Romania when its government was dominated by the Romanian Communist Party. During this period the country was consecutively known as Romanian People’s Republic (Romanian: Republica Populara˘ Romîna˘) and Socialist Republic of Romania (Republica Socialista˘ România). “After World War II, the Soviet Union pressed for inclusion of Romania’s heretofore negligible Communist Party in the post-war government, while non-communist political leaders were steadily eliminated from political life. King Michael abdicated under pressure and went into exile in December 1947, and the Romanian People’s Republic was declared. Copyright Â© D. Dimancescu, Cambridge, MA. 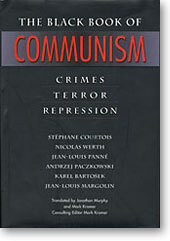 The authors, all distinguished scholars based in Europe, document Communist crimes against humanity, but also crimes against national and universal culture, from Stalin’s destruction of hundreds of churches in Moscow to Ceausescu’s leveling of the historic heart of Bucharest to the widescale devastation visited on Chinese culture by Mao’s Red Guards.